Carolynn has been a permanent resident of the Laurentians for 14 years, but a lifetime seasonal resident. She is thrilled to be able to combine a love of acting with organizational talents as the current President of Theatre Morin Heights. 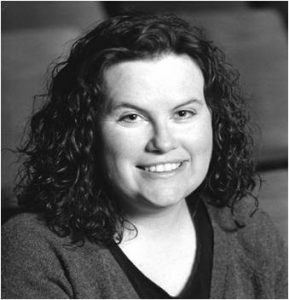 She has served as Membership Director, Vice President and Director of Development with Lakeshore Players (Dorval) and is excited to help with the growth and progress of Theatre Morin Heights in our community. Her favorite TMH roles include "A Sting in the Tale", Norm Foster's "Storm Warning" (taken on tour to the Royal Theatre in Gananoque, ON Summer 2017), the original production of Don Stewart's "Nature's Victory" and the 2017 Fall production of "I'll Be Back Before Midnight" performed at the newly renovated Chalet Bellevue. In her real life, she works in education for the Sir Wilfrid Laurier School Board. Corina is devoted to theatre in Morin Heights, believing that culture, in all its incarnations, enlightens a community in a variety of ways for the players as well as the observers. Theatre Morin Heights is her passion and her enthusiasm and energy gets everyone going. Corina is a long time resident of Morin Heights. Her first performance in Norm Foster’s “Drinking Alone” in 2002 was a fundraiser for Médecins sans Frontières and tick on her bucket list. She has since performed, produced, directed, built sets and much more in numerous productions. In her ‘day job’, she has been a board certified veterinarian, specializing in birds and exotic animals in Montreal. She is a municipal councillor in Sixteen Island lake. She devotes herself to conservation and the environment. And first and foremost she is a Mom. June is a life-long, devoted fan of live theatre. She has been involved with Theatre Morin Heights since 2002 where she usually works behind the scenes or performs at readings. She made her on-stage debut with TMH in the 2015 production of Cat Delaney’s Welfarewell. 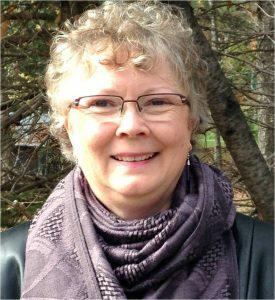 As a long-time resident of Morin Heights, her involvement with theatre offers a balance in her busy life of semi-retirement, being a grandma, and other community activities, which include running the local Cancer Support Group, writing for Main Street and singing with the Joyful Noise Choir. 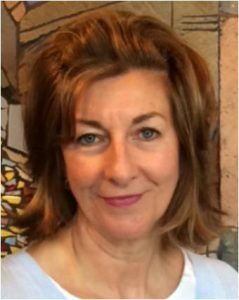 Wendy recently moved from Toronto to the Laurentian area and joined Theatre Morin Heights as a way to get more involved in her new community while at the same time fulfilling her interest in local live theatre. Wendy’s professional background includes a long standing career as a director of sales with L’oreal Canada.